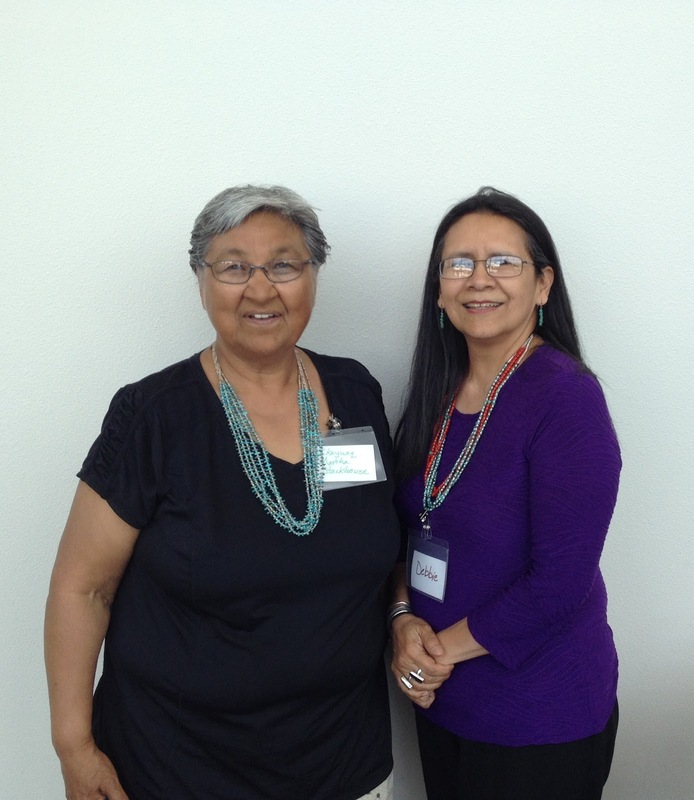 For the last two days I've been in Albuquerque at the Sacred Little Ones 2015 Native Early Childhood Symposium. There have been so many high points, exciting and inspiring moments, but one is especially joyous. I did a panel yesterday. At today's lunch, a woman waved me over. I saw her nametag, and felt such a joy! The woman is Martha Stackhouse! Years ago I read her review of Julie of the Wolves. Because she's Alaska Native, her review meant a great deal to me. Meeting others who do critical analysis of the Native content of children's books means so much to me. So. This photo of me and Martha, and a link to her review of Julie of the Wolves are my first blog post from the Sacred Little Ones 2015 Native Early Childhood Symposium.